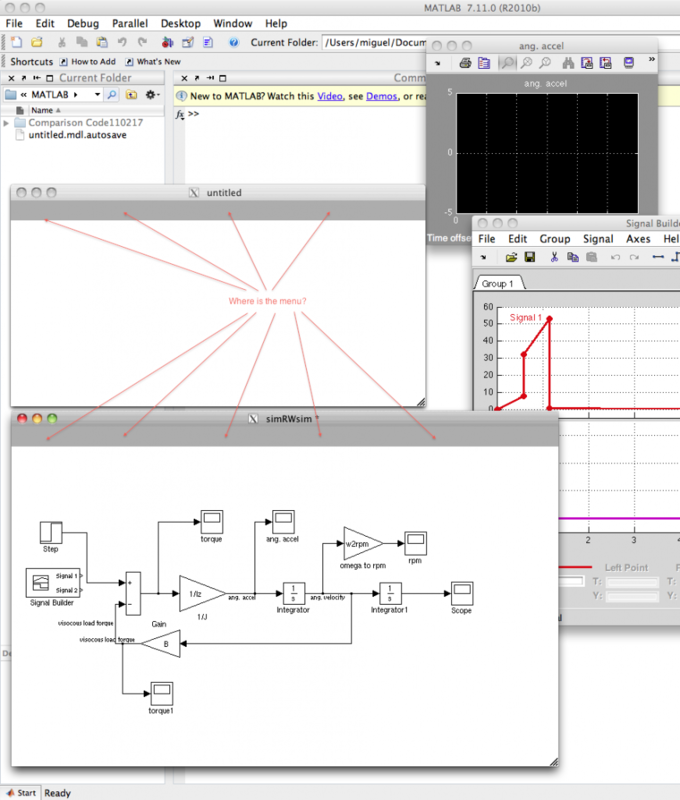 Since I have installed Matlab/Simulink 2010 in my mac I havent been able to use Simulink at all! The reason is that the menus in the simulink model do not show. How awkward is that? I’ve googled and searched in forums but couldn’t find anything similar. Here’s a pic showing the problem. Does anyone know how to solve this problem?